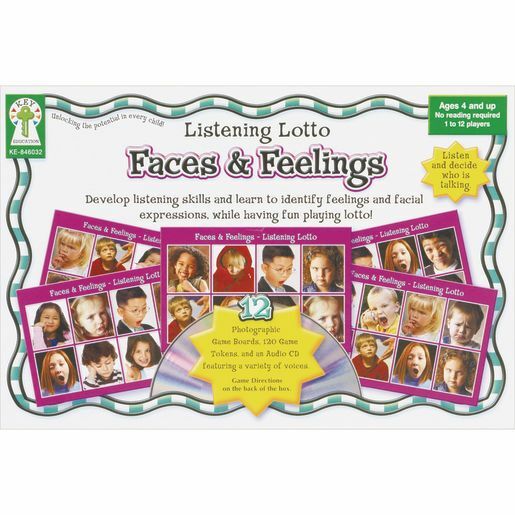 Children can develop listening skills while learning to identify feelings and facial expressions. 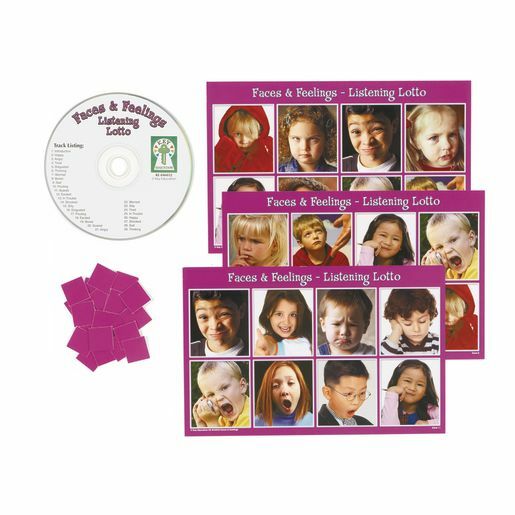 To play the game, children listen to the sounds on the CD and match their tokens to images on the game boards with what they hear. Encourages exploration of the look and tone of emotions with how they relate to different narrative statements. LAN (P) Understand more complex vocabulary and display listening comprehension. SL.K.1b. Continue a conversation through multiple exchanges.